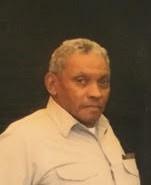 Mr. Jewell Wayne Bumgardner, 76, of Cincinnati, OH, died on August 10, 218 at his residence. Mr. Bumgardner was a native of Bonnieville, KY and the son of the late Harvey (Sr) and Roxie Bumgardner. He was a truck driver and member of Mt. Vernon Baptist Church. In addition to his parents, Mr. Bumgardner was preceded in death by a nephew, Joey Bumgardner. Survivors include his wife, Frankie Rice Bumgardner of Cincinnati, OH; one brother, W. Harvey Bumgardner (Johnnie) of Elizabethtown, KY; two nieces, Samona Bumgardner of Tennessee and Earicka Cooper (Greg) of Elizabethtown; one nephew Carroll Jones (Gabrielle) of Elizabethtown, KY.
Funeral service will be held at 1:00 pm on Thursday, August 16, 2018 at Mt. Vernon Baptist Church in Bonnieville, KY with Rev. Ray Stewart officiating. Burial will follow in the Mt. Vernon Cemetery. Visitation will be from 5-8 pm on Wednesday, August 15, 2018 also at Mt. Vernon Baptist Church. To Miss Frankie With our deepest condolences! So sorry for your loss. We will miss Mr B. He was a jewel! Jewell, you will always be my friend now and forever, I will miss your great sense of Humor and True Friendship. May God Bless this Family for such a Dear loss.